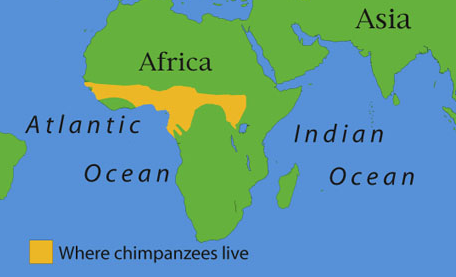 Chimps live in forest trees. 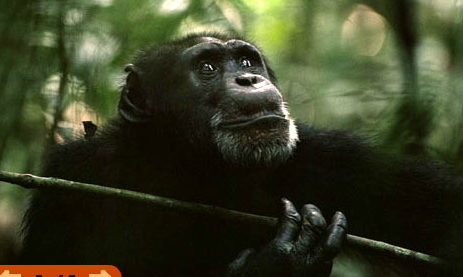 The chimps cindof look like Monckeys. 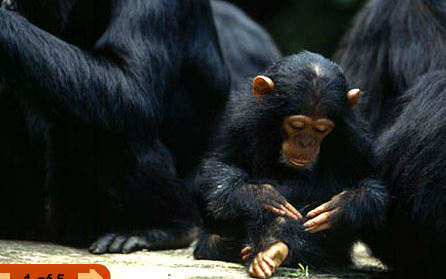 Sometimes the chimps begin drumming on tree trunks.It eats bugs out of other hair. 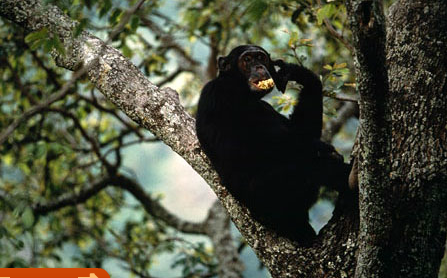 A chimp eats ripe fruit from a tree. 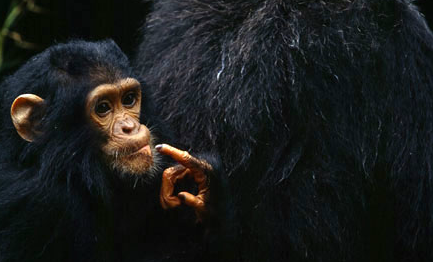 A chimp protects itself by using their wrist to hit the enemy. 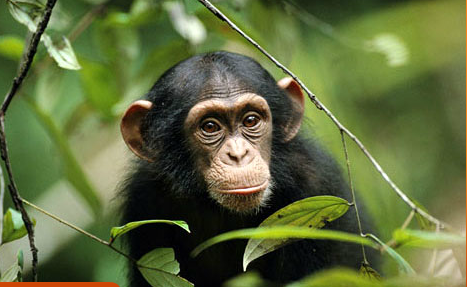 Chimps climb trees and walk on four legs. Kids overview of chimpanzees, with photographs, video, audio, fun facts, an email postcard, and links to other animals.